The diagram above loosely shows how a surface shader works. The 3D model is firstly passed to a function which can alter its geometry. Then, it is passed (together with other information) to a function which defines its “look” using some intuitive properties. Finally, these properties are used by a lighting model to determine how the geometry will be affected by the nearby light sources. The result are the RGBA colours of every pixel of the model. Line 5 specifies that the surface function for this shader is surf and that a Lambertian lighting model should be used. Line 10 indicates that the albedo of the material, that is its base colour, should be white. The surface function doesn’t use any data from the original 3D model; despite this, Cg / HLSL requires a input struct to be defined. fixed Alpha: how transparent the material is. Cg / HLSL supports the traditional float type, but you’ll rarely need a 32 bit precision for your calculations. When 16 bits are enough, the half type is usually preferred. Since the majority of parameters have a range which goes from 0 to 1, or -1 to +1, Cg supports the fixed type. It spans at least from -2 to +2, and it uses 10 bits. Adding a texture to to a model is slightly more complicated. Before showing the code, we need to understand how texture mapping works in 3D objects. Every textured model is made up of several triangles, each one made of three vertices. Data can be stored in these vertices. They typically contain UV and color data. UV is a 2D vector which indicates which point of the texture is mapped to that vertex. 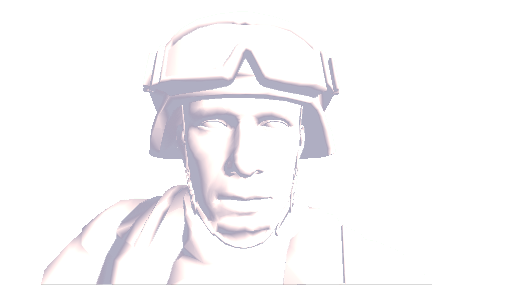 In the picture above you can see the model of a soldier from the Unity3D Bootcamp demo. It is rendered as shaded wireframe. Two triangles have been highlighted on the model: their vertices yield a couple of numbers. They are the Cartesian coordinates, normalised from 0 to 1, which map to the texture on the right. These numbers are the UV coordinates. If we want to associate a texture to a 3D object, we need the UV data of its vertices. 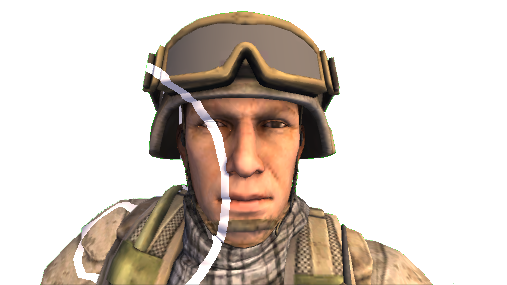 The following shader maps a texture onto a model, according its UV model. The property _MainText is a texture which is declared in line 12 and made accessible from the material inspector in line 3. The UV data of the current pixel is gathered in line 10; this is done by naming a field of the Input struct as uv followed by the name of the texture ( uv_MainText, in this case). The next step is to find the part of the texture which UV refers to. Cg / HLSL provides a useful function for this, called tex2D: given a texture and some UV coordinate, it returns the RGBA colour. tex2D takes into account other parameters which can be set directly from Unity3D, when importing the texture. It is important to remember that the UV coordinate are stored only in the vertices. When the shader evaluates a pixel which is not a vertex, the function tex2D interpolates the UV coordinates of the three closest vertices. Cg / HLSL has some other interesting, non-obvious features. The surface input, Input, can be filled with values which Unity3D will calculate for us. For instance, adding float3 worldPos will be initialised with the world position of the point surf is elaborating. This is often used to creates effects which depends on the distance from a particular point. Lines 20-21 calculated the distance of the pixel being drawn, IN.worldPos, from the point we’ve defined in the material inspector, _Center. Then, it clamps it between zero and one, so that is one in _Center and fades to zero at _Radius. If the distance falls within a certain range, pixels are coloured white. Cg / HLSL has lot of built-in functions, such as saturate and step, which can easily replace the majority of if statements. 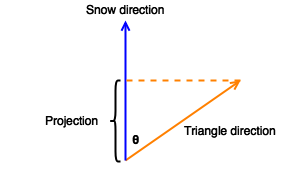 float3 worldPos: the position of the current pixel, in world coordinates. where indicates how much the new vertex will be displaced from the previous one. This technique is called normal extrusion. Line 9 specifies that there is a vertex modifier, called vert. It takes the position of a vertex and it projects it along its normal. appdata_full is a struct which contains all the data of the current vertex. 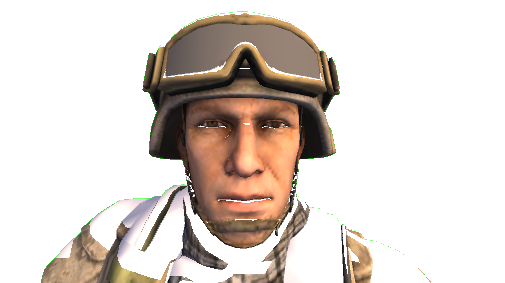 A typical surface shader which uses both surf and vert is the infamous snow effect, which appeared in several blogs, each time with a slightly different flavour. It simulates the accumulation of snow on the triangles of a model. Initially only the triangles directly facing _SnowDirection are affected. By increasing _Snow, even the triangles which are not oriented towards the sky are eventually affected. There’s another little piece of information which is needed. While _SnowDirection represents a direction expressed in world coordinates, normals are generally expressed in object coordinates. We cannot compare these two quantities directly, because they are mapped to different coordinate systems. Unity3D provides a function called WorldNormalVector which can be used to map normals into world coordinates. Rather the manually calculating the cosine of the angle between the vector, Cg has a very efficient implementation of the dot product called dot. Line 36 utilises a different method to convert the normal into world coordinates. The function WorldNormalVector is in fact not available in the vertex modifier. If you really need snow in your game, consider buying something more advanced, like Winter Shaders. This post introduces surface shaders and shows how they can be used for a variety of effects. This post was inspired by the Surface Shader Examples page in the Unity3D manual. There is also another page which explains in details how to implement other lighting models. That topic will be explored in details in the third part of this tutorial. You say GPUs are highly optimized for sequential code, but that sounds very ambiguous. GPUs are highly optimized for parallel code, and that is exactly why branching is not as cheap as on a CPU. The same code is executed on a whole bunch of fragments at the same time (a group called a warp or a wavefront), it generally needs to execute both sides of the branch, and throw away the result of the side of the branch that does not apply. So it’s more that you can’t optimize away a bunch of code with an if statement. Another part of that has to do with pipelining: if work can be predicted (such as a texture lookup), it can sometimes be done at the same time as other work. But if your texture lookups depend on the output of a calculation, that’s not quite as straightforward. Hey, it works! Look at that! Thanks for the tutorials. You’re definitely filling a major gap in what’s available out there. I did not understand when talked about the snow shader. How a cos() function can be greater than 1? which is true for one value of theta only. i couldnt understand this part when i was reading “surface function”. First it said surface function (it takes data from 3dmodel as input) then later it said it(surf funtion) doesnt use any data from 3d model inspite of that an input struct has to be defined..i might be wrong somewhere but if you could explain it a bit? i wouldve attached an image with lines highlighted for your convinience but it doesnt allow me to attach image. The first part means surface shaders *in general* will take 3D model data as inputs. The second part means the specific surf function in the specific example in the article didn’t actually need any of the model data, but the language requires declaring the input value anyway. Hey! Thanks a lot for your tutorial series – it’s much appreciated. Which converts the normal from object to world coordinates. where can I download the sample codes, including the shaders and 3D model, thanks. Hey! I post most of the Unity packages on Patreon! Hi, I can’t find the links. 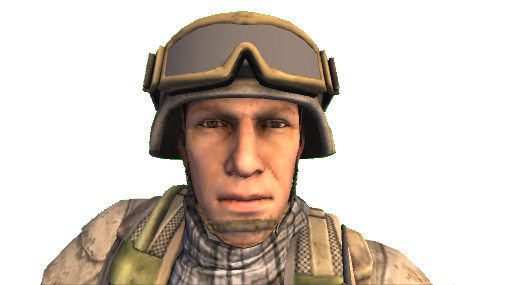 Where can I download this model of Unity Soldier? Can you please post it here. In vert shader of the code for Snow Shader, you are saying “// Convert the normal to world coordinates” in the comment. But isn’t it actually converting the world coordinate vector which is _SnowDirection into object coordinate? So, sn is not object coordinate snow direction and not can be compare with appdata_full.normal which is object coordinate. so, that we can compare with v.normal which is already in object space. I don’t understand the line after the comment “// Convert the normal to world coordinates” either. _SnowDirection is in world space. In the surface function, I convert o.Normal from object to world space, so it can be compared with _SnowDirection. In the vertex function, I convert _SnowDirection from world to object space, so it can be compared with v.Normal. I have corrected the comment (which said the opposite). Does it make sense to you know? In surface input shader you are declaring the center in the inspector what if I had to obtain this center from another script? Hi! I’m not sure I understand the question! Hi. Thanks for tutorials. I started learning shader recently. I have a question in snow example. Why do you have this? My understanding is that unity_WorldToObject is inverse of current world matrix, not matrix transformation for converting from world space to object space (https://docs.unity3d.com/Manual/SL-UnityShaderVariables.html). The “vert” snow function is indeed incorrect. v.vertex.y += 1.0; // clever debugging check! You’ll now see that it functions identically as in the surf function! Then you have the issue of “moving” the verts as desired, do as desired. Damn! Sorry for the broken post .. I don’t know how to delete, sorry. In the surf function, we convert o.Normal from object to world space, so it can be compared with _SnowDirection. Even in the corrected version (xmas 2018!) this is not being done. You will straight away see that it is not doing the SAME pixels as the surf function.